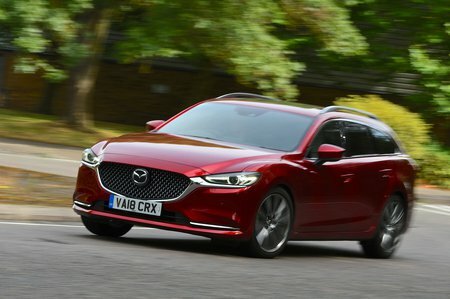 Mazda 6 2.5 GT Sport Nav+ 5dr Auto 2019 Review | What Car? Range-topping trim features a 360deg camera, a 7.0in digital driver display, heated rear seats and ventilated front seats – but it’s very pricey. The quickest petrol in the line-up, but it’s hampered by a sluggish automatic gearbox. It feels flat at low revs compared with the diesel options and it’s too expensive to really recommend. This engine does feature cylinder deactivation technology, allowing two cylinders to switch off when cruising between 25mph and 50mph to improve efficiency. It’s so seamless that you won’t notice it happening.